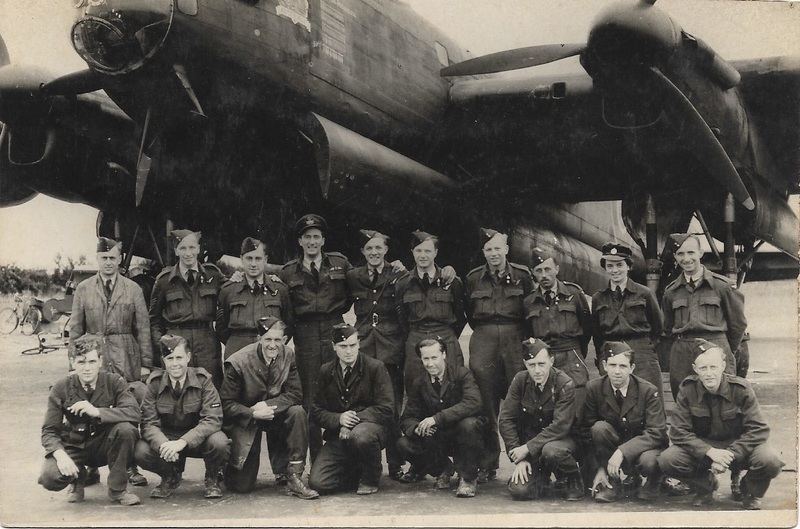 Lancaster NG133 was flown by the F/O A Abrams crew when it was lost on Operation Hurricane on 14 October 1944 to Duisburg, one of two 550 Squadron Lancasters lost on this operation, the other being Lancaster PD319 flown by the F/O Dodds crew (see Duisburg/PD319). Pilot F/O Abrams was thrown clear and survived (PoW), but the other crew members all perished. 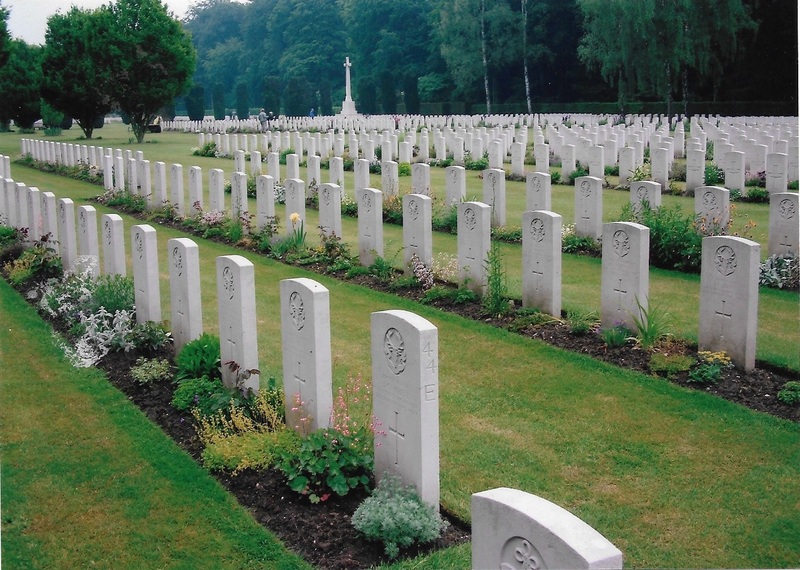 Below are some pictures associated with the F/O Abrams crew. 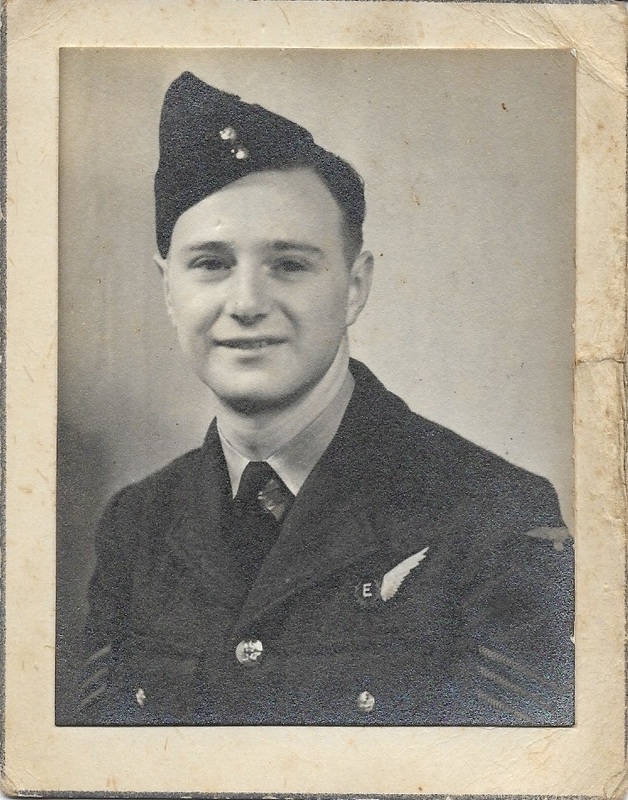 Thanks to Alison Morgan for making the pictures available. 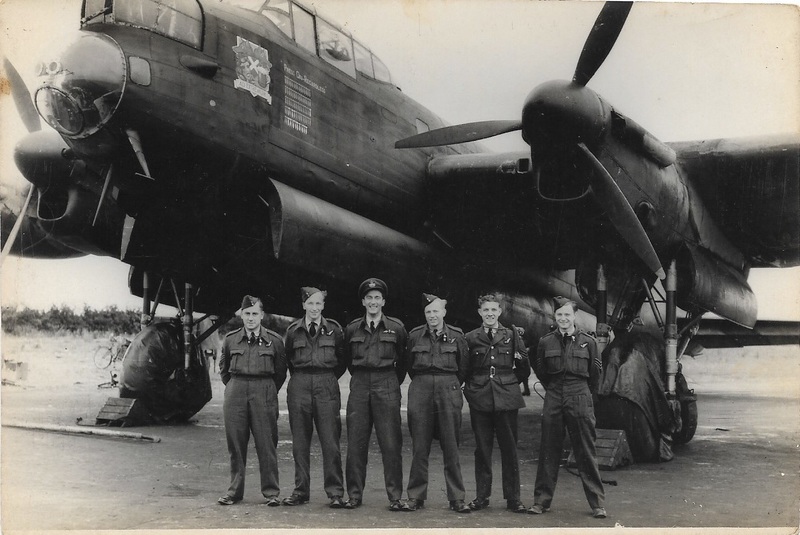 Crew in front of "Press on Regardless"
Written on the rear (by Sgt Nettleton): "Six Men and a Lanc (mid upper gunner missing)"
Below are some pictures of Sgt Ken Nettelton (F/Eng). Again thanks to Alison Morgan for making the pictures available. 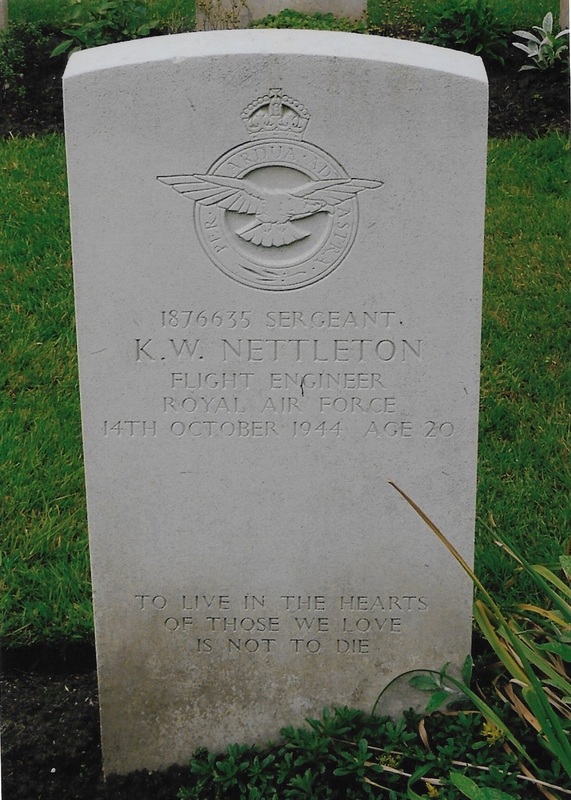 Alison's mother was engaged to Ken Nettelton on the date he was killed (14th October 1944).